Virtual reality is one of the hottest trends in entertainment right now. You’ve probably heard about tech companies investing in goofy-looking glasses, but virtual reality is more than just a headset. It’s about expanding the experience and stimulating the mind. 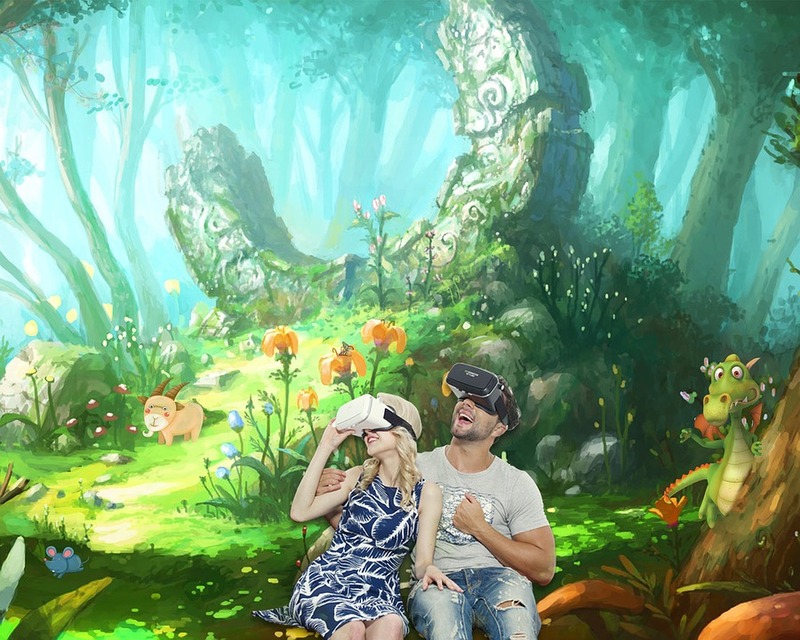 Here are a few pioneers in the industry that you may want to watch — they could produce the next big thing in virtual reality-based entertainment. Founded in 2008, 30 Ninjas is a digital entertainment company that specializes in VR productions. Tatlock and partner Doug Liman are both award-winning pioneers in the VR industry; their projects have been nominated for multiple Emmys and have won both the Shorty and Social TV Grand Prize. Prior to her VR career, Tatlock worked in television at Oxygen Media and Martha Stewart Living. Samantha, a video journalist with the New York Times, has been focused on the VR industry for over two years. Samantha provides updates on some of the Times’ recent VR projects and initiatives. A former developer for 30 Ninjas, Samantha now assists the New York Times in creating and producing 360 degree news and virtual reality projects. This legendary filmmaker worked on videos for clients such as U2 and Nintendo before becoming interested in virtual reality at a 2011 Coachella art installation show. He founded Within to portray the human experience by using virtual reality. Users can now download the Within app to create innovative stories using only the app and a simple VR headset. Unlike gaming or fantasy that aims to create different worlds for escapist pleasure, Milk’s app focuses on capturing human emotions and experiences. Room scale is a design paradigm which allows users to freely walk around a play area, with their real-life motion reflected in the VR environment. Using infrared sensors for 360 degree tracking purposes, room scale takes the user’s movements into account and translates this into real-time within the VR world. Debra Anderson is a VR entrepreneur who debuted her cinematic VR piece “In/Formation” in 2015, which covered virtual reality pioneers. She’s the co-founder and chief strategy officer at Datavized, a company that is building a 3D publishing platform for the collaboration of creative ideas and stories across the Internet. As a major leader in the world of VR, she founded the Women in VR Meetup and teaches VR courses at Parsons School of Design. She is currently directing and producing a Web VR story about violence against women in Nepal. This Brazilian-born inventor worked on Microsoft’s software development for years before joining the Xbox division in 2008, where he created the Kinect. The fastest-selling consumer device ever made, the Kinect cemented Kipman’s reputation as a pioneer in the VR field, but he wasn’t done yet. In 2015, he debuted the HoloLens- a headset that displays 3D holograms that the user can interact with by reaching out and touching them. Tech wizard John Carmack isn’t just another software developer. He’s also a rocket scientist who was aggressively headhunted by Elon Musk. Carmack, co-founder of id Software, was the lead programmer for a number of popular games including “Doom,” “Quake,” and “Rage.” He took over the coveted CTO position at Oculus VR in 2013, and the virtual reality world can’t wait to see what he’ll come up with next. Considered to be one of the most innovative thinkers in the industry, Luckey famously funded Oculus VR through a Kickstarter campaign where donors received a prototype Oculus Rift head-mounted display for $300. His campaign raised $250,000 in under two hours and had topped $2 million by the end of the month. In 2014, Mark Zuckerberg bought Oculus VR for a cool $2 billion, proving that virtual reality was a hot investment. Luckey currently ranks #22 on Forbes’ 2016 list of America’s richest entrepreneurs under 40; while he may have sold his company to Facebook, he’s still a pioneer in the virtual reality industry that you may want to follow. Bjork has long been a pioneer in the visual arts as well as music. She famously dressed up as a giant swan at the 2001 Academy Awards. Now she’s getting into the world of virtual reality; her latest video, “Stonemilker,” features multiple Bjork’s singing in 360 degrees of visual space. Her latest art exhibition, Bjork Digital, showcases her four new VR videos for her new album “Vulnicura,” which will be released on VR platforms worldwide. Who are you most inspired by in the emerging world of virtual reality? Let us know in the comments below! And, if you’re ready to learn more about virtual reality, study VR at New York Film Academy!